Like, holy crap. Can you believe that that picture above is actually a photograph of wildebeests in Kenya and not some painting that is hung in a decorated hall of an art museum? It's unreal. It looks like fantasy land. But it's from a photo competition. In Focus shared the shortlist of winners of the 2014 Sony World Photography Awards and they're simply awesome. 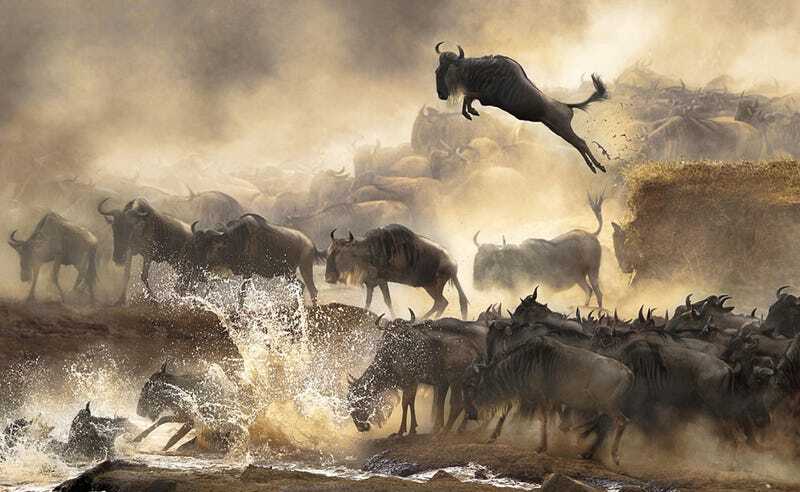 The above picture was taken by Bonnie Cheung and shows the wildebeests migration in Kenya. Here are a few more below, you can see more at In Focus and at the official World Photography Awards page here.